Like other gold rushes, this one is also ripe with uncertainty. Some 46 percent of last year’s ICOs have failed and according to one study, that could be an underestimate. Then there’s this hidden risk: Even without buying or selling, you could be participating in this market – and incurring costs – if you are unknowingly hosting crypto-mining malware. To understand this kind of malware, you first need to know something about cryptocurrency. An encrypted data sequence that represents monetary value, cryptocurrency is monitored and organized by a peer-to-peer network known as a blockchain, which also serves as a secure ledger of transactions. Mining these decentralized digital currencies involves extracting them from the blockchain networks on which they operate. In other words, mining creates a new “block,” which happens when, by solving very complex mathematical problems, you are able to confirm transactions occurring on the blockchain. To do that, you need a lot of computing power, not only because of the math, but also because there are thousands of other computing systems trying to do the same, and the quantity of blocks is limited. This need for tremendous computer processing is why cryptocurrency mining is associated with racks and stacks of servers in makeshift data-centers near cheap power sources, like East Wenatchee, Washington. But mining is also happening in “pools,” when processing power is shared over a network and miners split the reward according to one of many compensation schemes. That means if you have spare processing power and legitimate cryptocurrency mining software, you could opt into such a pool and become a fractional miner. That scenario is flipped, however, when someone else slips software into your computer without permission to harness your CPU for a mining pool you know nothing about. The secret use of your computer and CPUs to mine cryptocurrencies is also known as cryptojacking. If news coverage is a good indicator, it appears to be gaining momentum. One recent article describes how hackers compromised a software supply chain, bundling code to mine the cryptocurrency Monero into the font package of a PDF editor application. Another article on current hacker trends in ERP software pointed to a report from Onapsis and Digital Shadows describing an incident from last year, when hackers used Oracle’s WebLogic Java application server as a conduit for mining Monero. As it happens, when researchers at the NTT Security Global Threat Intelligence Center (GTIC), a sister organization, began analyzing several dozen cryptocurrency mining operations in August 2017, they also focused on malware that had been written to mine Monero. One possible explanation for its popularity as a target? Monero has a reputation for offering a high degree of anonymity…which says something in the cryptocurrency market. Why worry? What to do? Like any resource-hogging application, cryptocurrency mining malware can impact a computer’s performance. What’s worse is that you or your organization are paying for the unnecessary compute cycles that are making you less productive. Not to mention added expense if you’re leveraging pay-for-use resources like (X)aaS and Cloud. The environmental impact of crypto mining is another concern. More obvious in a consolidated mining operation than as part of a distributed pool, the energy consumption of cryptocurrencies across all their operations is massive. According to one cryptocurrency energy analyst, the Bitcoin network alone could, by the end of 2018, be drawing as much as 7.7 gigawatts, or half of 1 percent of the world’s total energy consumption. And if you lack internal resources to manage all aspects of your organization’s cybersecurity needs, consider outsourcing. 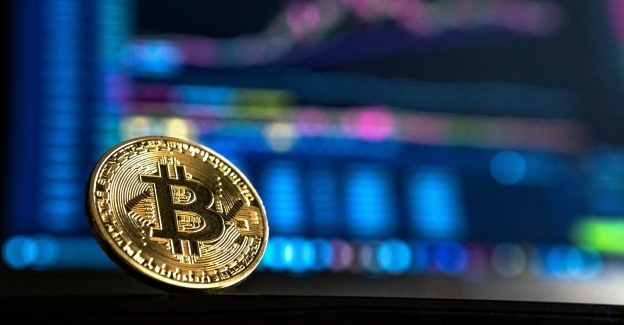 Detecting cryptocurrency malware is only one aspect of ensuring the security of your internal IT processes, the software supply chain and your entire organization.